The teaching methods of his mathematics professor, R. L. Moore, greatly influenced the chairman of the Foundation. As such, the Foundation’s primary focus is improving education in the sciences. The Foundation promotes Inquiry-Based Learning, or discovery learning, in mathematics and the sciences. 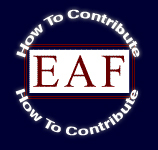 The Foundation made its first mentoring grants to promote discovery learning in 1997. The grants have continued to evolve as the Foundation seeks better ways to improve education in mathematics and the sciences. Lists of recent grants awarded: 2009, 2010, 2011, 2012, 2013. The achivements of twenty years of the Foundation's endeavors are summarized here.